It was a joy speaking last week with members of the Subban, Vilgrain and Nurse families, famous hockey clans whose children are helping change the face of hockey from youth leagues to the college and professional ranks. 2013 Vancouver Canucks draftee Jordan Subban – wonders sometimes whether P.K. fully grasps the impact he’s having in attracting more minorities to hockey either as fans or players. Richard Nurse, father of 2013 Edmonton Oilers first round draft pick Darnell Nurse, was a wide receiver and special teams player for five seasons with the Hamilton Tiger-Cats of the Canadian Football League and prided himself on being an athlete who wasn’t afraid to hit or get hit. Darnell likes to bang on the ice, too, but Richard insists that he didn’t get that trait from him. Consider it a gift from mom, Cathy. hockey teams, predominantly black youth squads coached by Cyril Bollers. Skillz’s Black Aces and Black Mafia teams have helped produce a bumper crop of NHL draft picks including Nurse; Joshua Ho-Sang, a forward taken with the 28th overall selection this year by the New York Islanders; forward Keegan Iverson, taken in the third round this year by the New York Rangers; and forward Jaden Lindo, a 2014 fourth-round pick of the Pittsburgh Penguins. Former Skillz players and parents say the teams offered a change of pace for youngsters who often found themselves as the only minority players on their regular teams and had to conform to locker room cultures where country and rock music often dominated. Bollers’ Skillz locker rooms often moved to a Reggae beat. 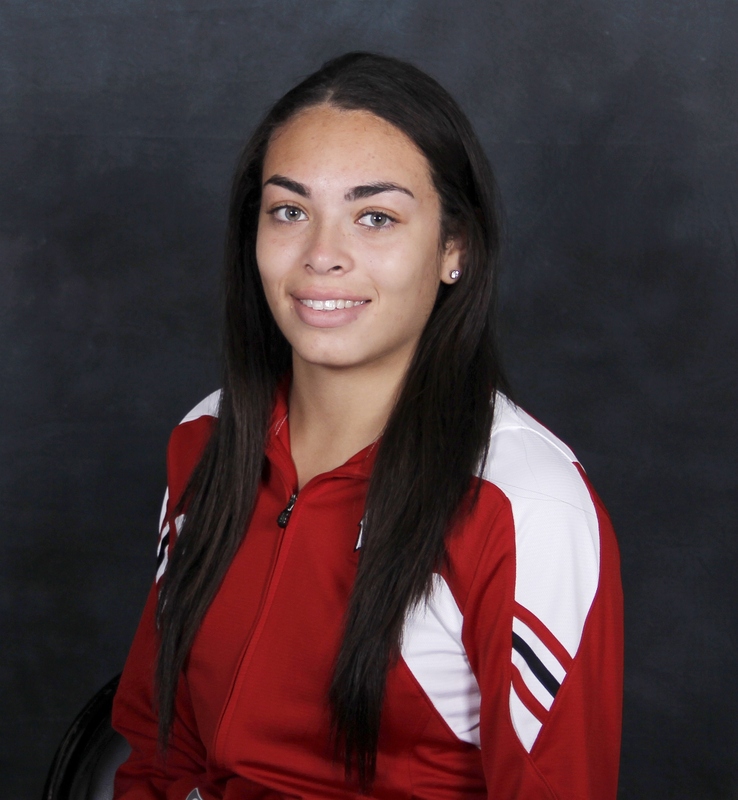 U of Wisconsin’s Sarah Nurse. Richard said the Skillz alumni and P.K. Subban are adding new dimensions to hockey with their athleticism and confident swagger. But is hockey – particularly the NHL – ready for the swagger? How good is University of Wisconsin forward Sarah Nurse? Darnell’s older cousin is so good that she played on boys teams until she was 11 and received her first U.S. college recruitment letter when she was in the eighth grade. Sarah’s father, Roger Nurse, and her uncle, Richard, had visions of a dream team dancing in their heads when she and Darnell tried out together for a youth hockey team. Sarah’s apparently never looked back from that disappointment. She scored 11 goals and 10 assists in 38 games as a freshman last season for the Badgers. She was a member of Canada’s gold medal-winning team at the 2013 IIHF Under-18 Women’s World Championship in Finland. She’ll participate in Hockey Canada’s National Women’s Development Team selection camp next month in Calgary. Cassandra Vilgrain, a sophomore forward for University of New Hampshire women’s hockey team and daughter of former NHLer Claude Vilgrain, told me that she’s thrilled to see more people of color involved in the sport at all levels. But she could only recall playing against one minority player – Boston College defenseman Kaliya Johnson. Boston College’s Kaliya Johnson (Photo/John Quackenbos). But women’s college hockey, like the rest of the sport, is experiencing an influx of players of color. California-born and Arizona-raised, Johnson tallied 11 assists for the Eagles last season. She was a member of the Silver Medal-winning U.S. team at the 2011-12 International Ice Hockey Federation Under-18 Women’s World Championship. Brown University forward Janice Yang led the Bears women’s hockey team in scoring last season with 7 goals and 5 assists in 29 games. Yang, a junior from Westport, Conn., was joined on the team last season by forward Maddie Woo, a freshman forward from Plymouth,Minn. She had 2 goals and an assist in 29 games. Kelsey Koelzer was a freshman forward for the Princeton University Tigers women’s team last season. A Horsham, Pa., native, she tallied 6 goals and 4 assists in 31 games.